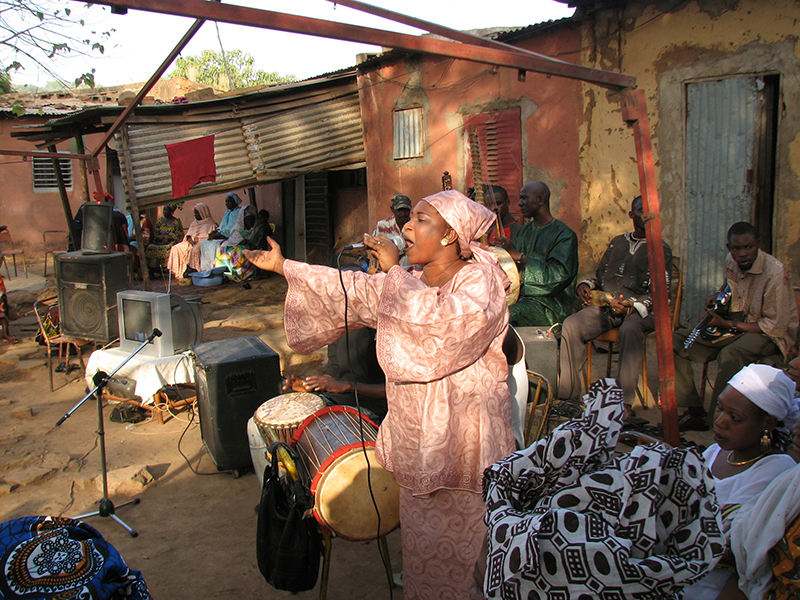 Chapter 4: A Pious Poetics of Place examines the Islamic voice as a morally steeped and widely deployed discursive resource in Bamako popular music. It focuses on the inter-textual and inter-subjective references to Islamic thought and practice in three distinct, though frequently overlapping genres of vocal performance: praise song, rap, and dance band lyricism. The chapter argues that the pious poetics of a vocal Islam is part of what makes culture “popular” in contemporary Mali. It also traces the ways in which Islam has become a site of contestation and debate in Mali, and beyond. This chapter argues for a conception of a “popular Islam” in contemporary Mali. What does it mean for a global religion to be “popular?” How does this perspective trouble stereotypes about Islam and its practitioners? What does this take on Islam say about “popular culture” more generally? This chapter also shows how popular Islam in Mali today can be “misrecognized” as unorthodox, or even illegitimate. How is this so? When does a “poetics of recognition” become a poetics of misrecognition? Consider the “multiple moralities” encountered in the book thus far: urban, professional, cultural, and religious. To what extent do these social positions meaningfully co-exist in contemporary Bamako? What potential frictions does such moral co-existence suggest?